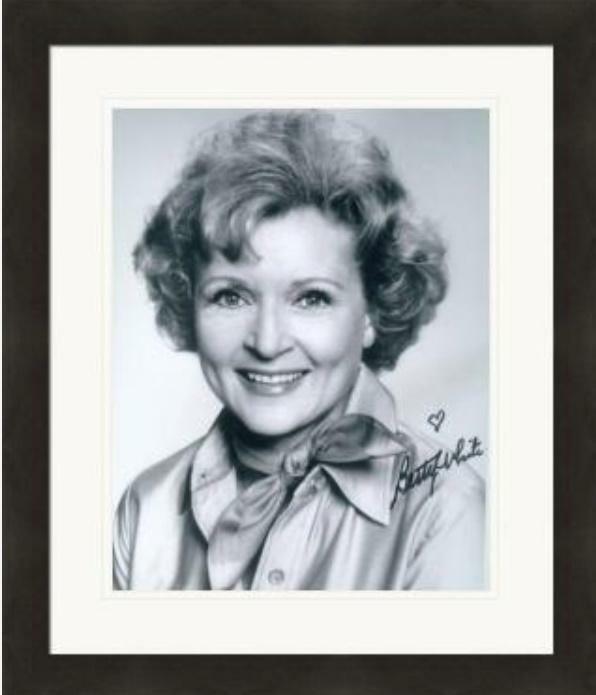 Betty White autographed 8x10 photo (The Golden Girls, Rose Nylund) #13 Matted & Framed. Item comes fully certified with a tamper-evident, serialized hologram and certificate of authenticity. Comes fully certified with Certificate of Authenticity and tamper-evident hologram. Also backed by HollywoodMemorabilia.com's Authenticity Guarantee.